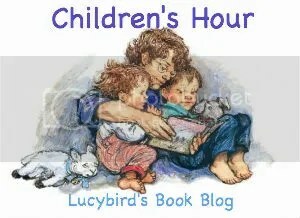 Children’s Hour: Slow Down, Sidney! Slow Down, Sidney! was a Christmas present for my toddler nephew, and was a bit of a hit with his older sister too. Slow down Sidney is about a fox called Sidney. Sidney is always rushing around, with some not so good results, but sometimes it is a good thing to be fast! It’s a pretty good choice (from Father Christmas) for my non-stop nephew. It’s a nice story actually. Fairly simple. Sidney gets a little over excited by everything and it goes wrong, we see how by lifting the flaps. There are lovely bright pictures, and a repeated refrain of ‘slow down Sidney’ for the kids to join in with. I also love Shirley Hughes. Her depiction of family life is wonderfully accurate – chaotic and warm. Whenever the going gets tough in my house I sometimes imagine we are characters in a Shirley Hughes book and then I don’t feel so bad.